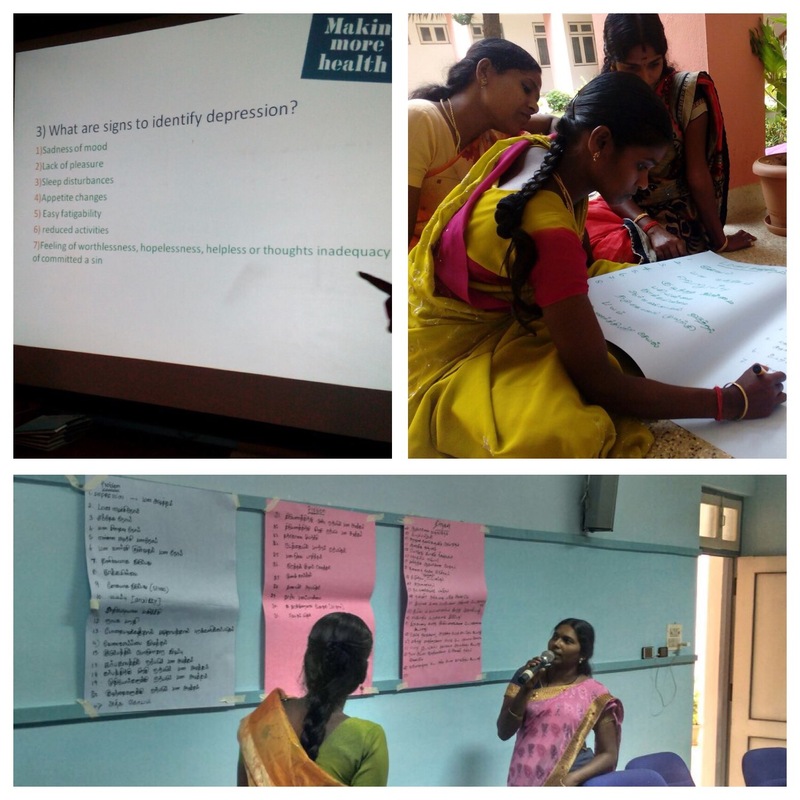 More Mental Health for selfhelp groups and their communities in India – Go India, go future! 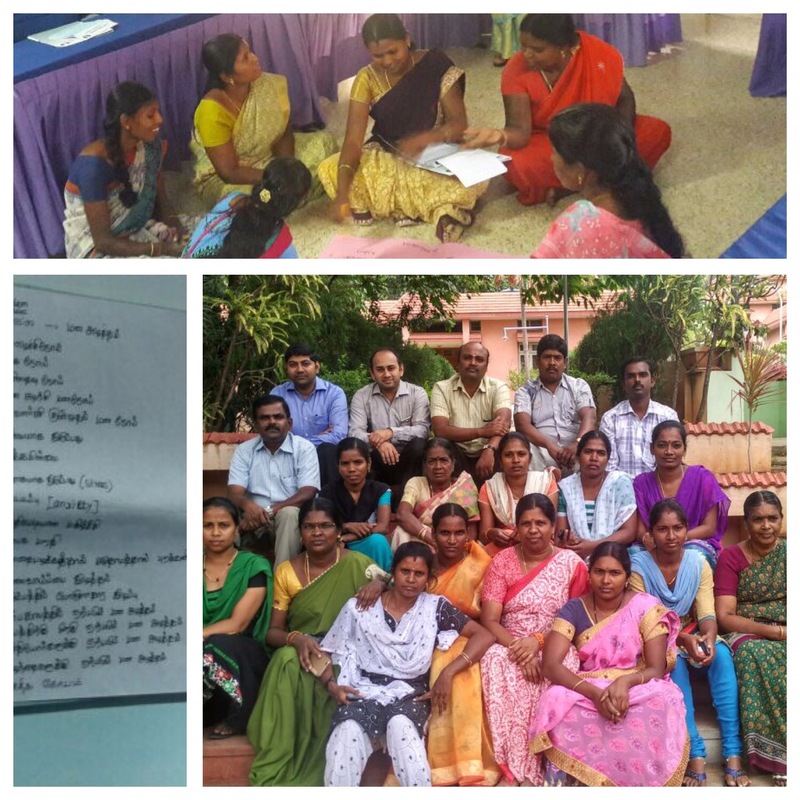 In the past two days we have run our second Health community Worker training for self-help group (SHG) leaders in the rural and urban area around Coimbatore. This training is part of 12 different health related training modules under the umbrella of the Making More Health initiative. The training topics have been selected and discussed with the selfhelp group leaders and local NGO – to make it as useful as possible for the participants. Running a training on mental health was a very clear request by the selfhelp groups themselves and it is for sure one of the key topics that has a large impact on their daily life and self understanding. The topics of the first mental health training included mental health during pregnancy and postnatal mental health issues, depressions, mental health and aging, mental health in children and mental health and addiction. A second training session on mental health will follow in the next months. For sure, it helped also the trainer team to learn more on how to care beyond traditional borders. Thanks to all who made this training a success and a benefit to the SHG participants ! More detail information will be available soon on our Makingmorehealth website and Mymmh. For those interested in a very interesting collection of stories, poems, paintings around mental health issues, please have a look here. Pingback: Making More Health (MMH) is for all: When young girls start to change the world – Go India, go future!